10 of the best super spooky Halloween spirits! No Comments on 10 of the best super spooky Halloween spirits! So, let us set the scene for spooky celebrations and paranormal partying this year. Spare yourself the tricks and instead treat yourself to these spooktacular offerings. We’ve compiled a list of spine-tingling spirits, each with the scariest of serves, from peculiar punches to creepy cocktails. 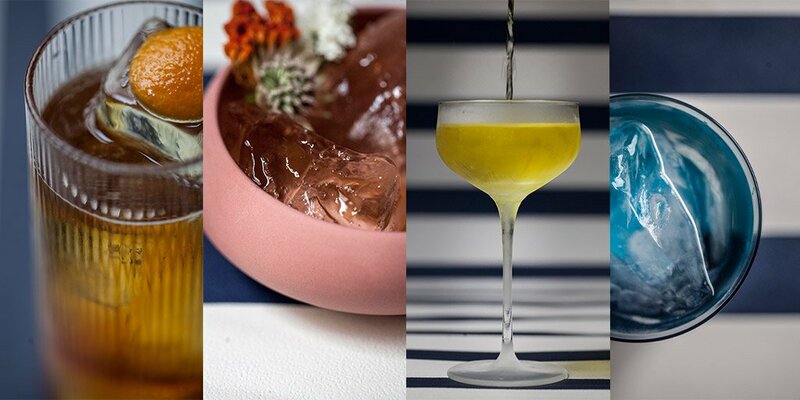 So come and join us – if you dare – and cast your eyes upon the most bewitching boozes around. Oh – and be sure to check out our Halloween 2018 page for more ghastly greats… Mwahahaha! The first week of October is almost Oct-OVER. Sorry. That was terrible. Sorry. Anyway, here’s The Nightcap, lots of booze news to be had. As it turns out, October is cold. It’s almost like there’s some type of scientific reason to do with how planets move and where stars are, all of which contribute to making the start of October startlingly chilly… Either way, the work week for a lot of folks is drawing to a close, so it’s time to grab a warming tipple and dig into our weekly round-up of news from the drinks world – The Nightcap! Avast! Treasure ahoy for International Talk Like a Pirate Day! No Comments on Avast! Treasure ahoy for International Talk Like a Pirate Day! Yarr, ahoy an’ yo ho ho! It be International Talk Like a Pirate Day, so we gots a treasure chest full o’ treats to be showing off! Smartly read on, ya swashbucklers! If ye be noticin’ folk runnin’ around, hollering “Yarr!” at the top o’ their voice this morn’, ye best greet them with a rousin’ “Yarr!” of yer own, for it be International Talk Like a Pirate Day! But avast – what does this have to do with boozes? Well, landlubbers, we gots a trove of tangentially-pirate-themed treasure for ye to gaze at through yer spyglass!